It's that time of year again. The mornings are cold, the days are short and the mooring field is empty. 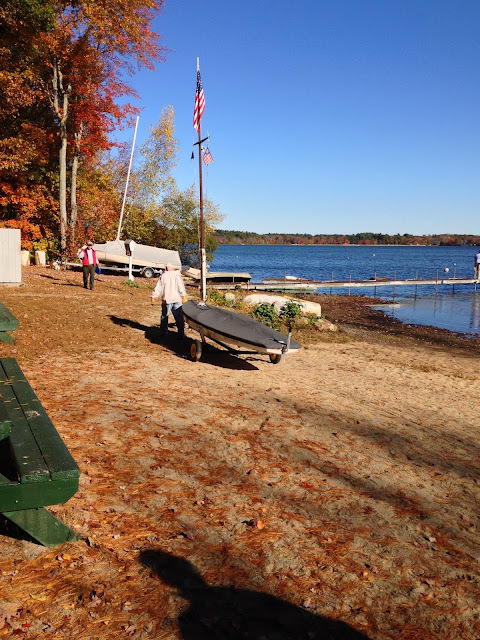 MYC held it's annual fall Work Party this morning and closed up the club for the season. Most people packed up their boats and brought them home. The remaining Sunfish and Lasers were packed into their winter storage areas to make room on the beach for the docks to be stored. The club is in hibernation until April. But all is not lost. Several MYC Sunfish racers are planning on participating in the Barrington Yacht Club frostbite season, which starts next Sunday. We will be running the MYC@Barrington coverage again this year, so stay tuned!